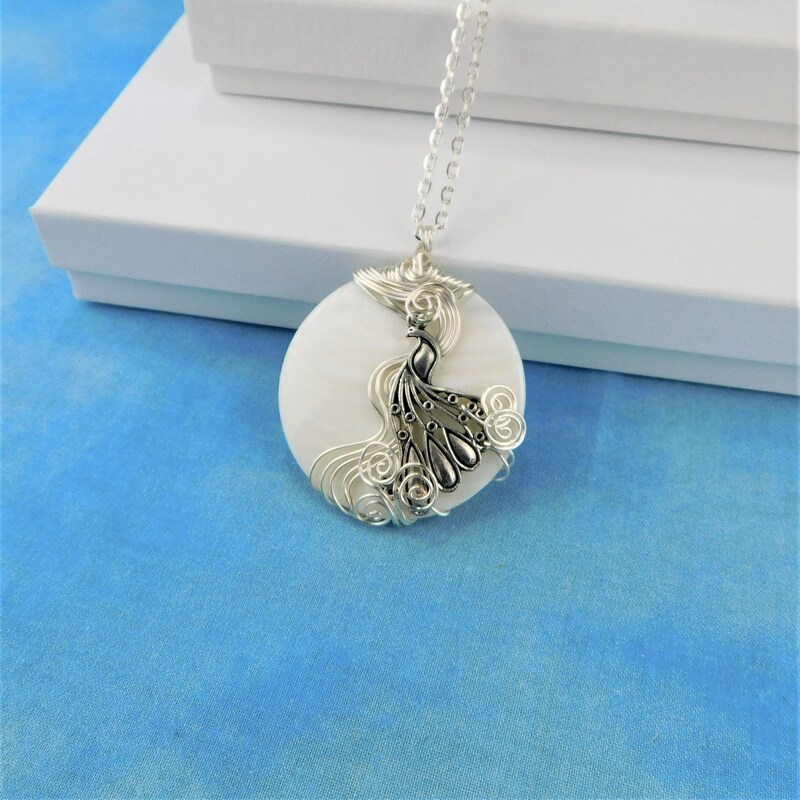 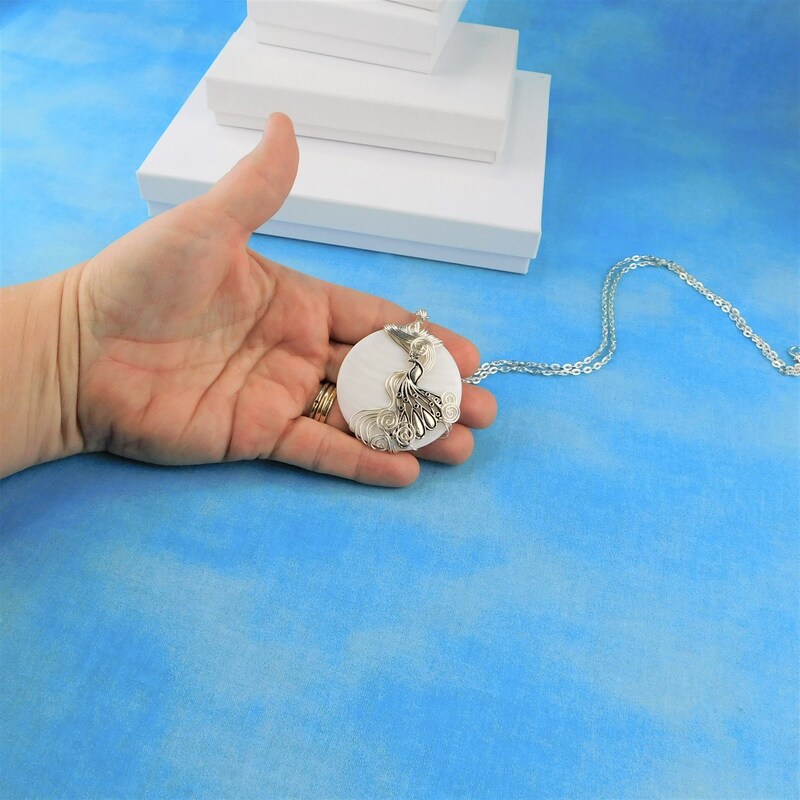 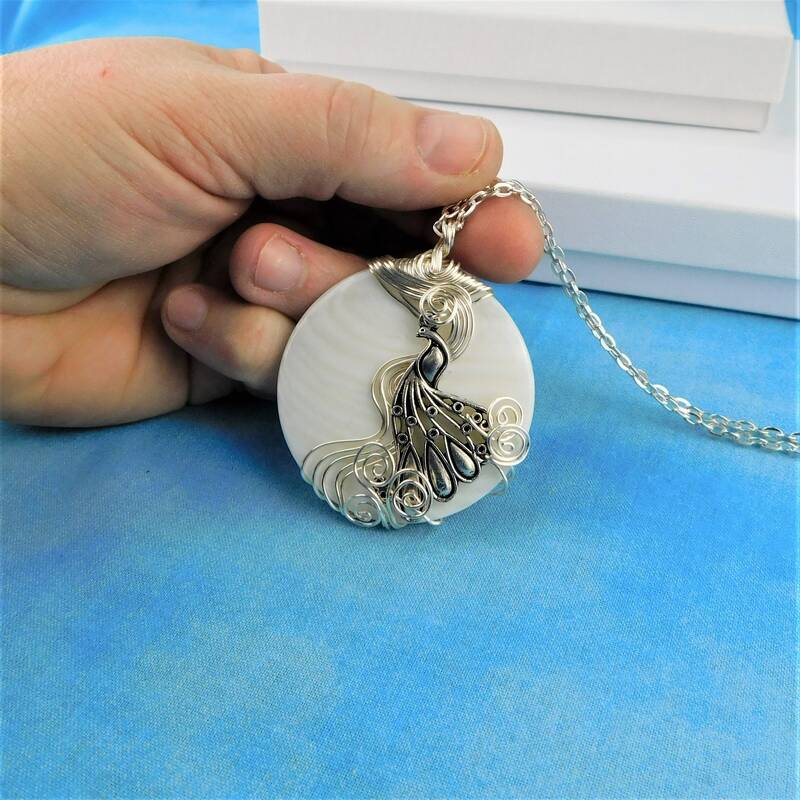 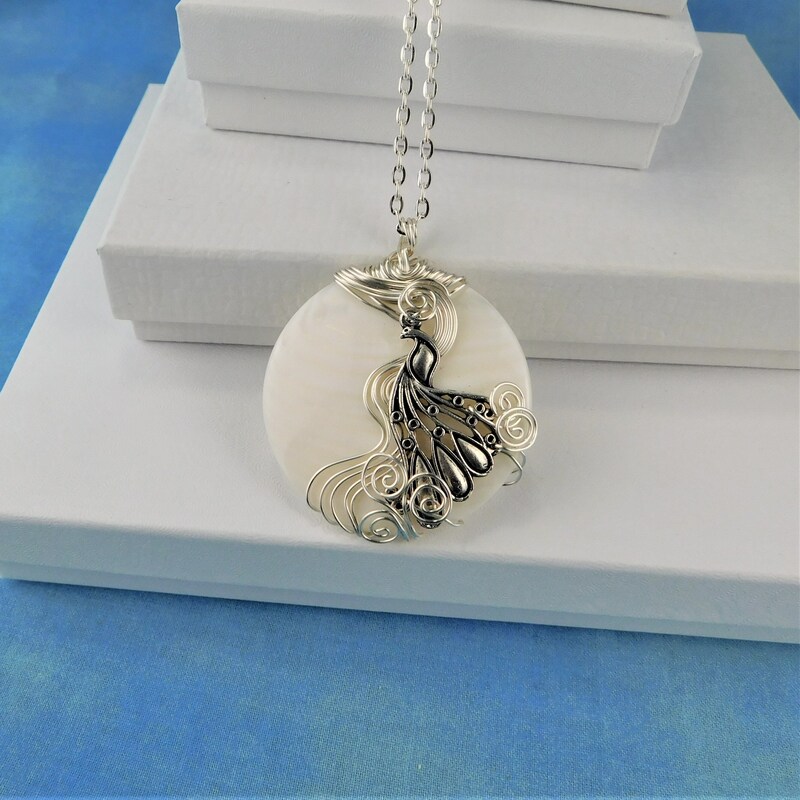 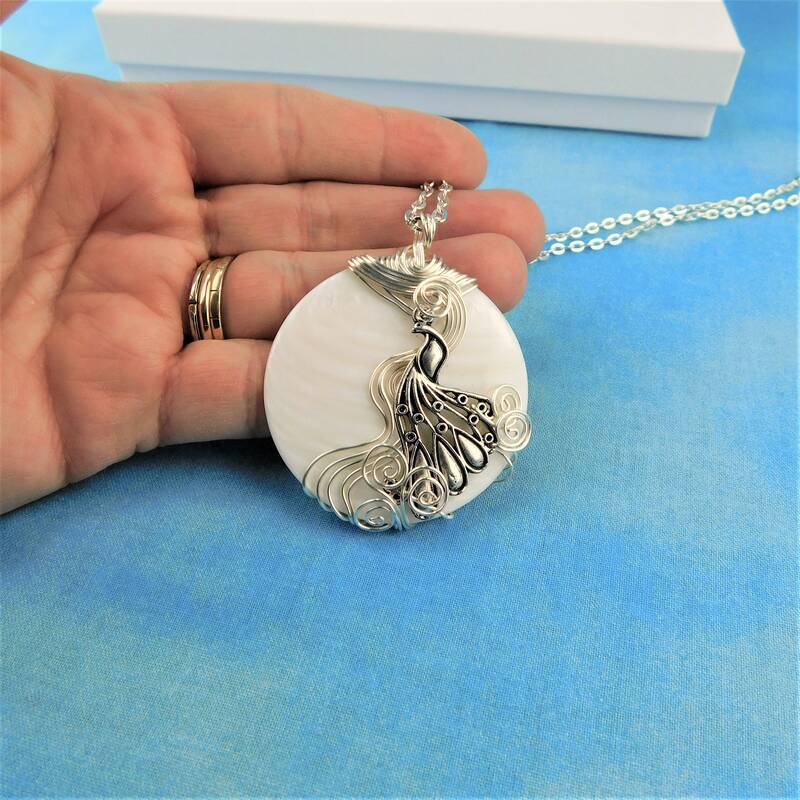 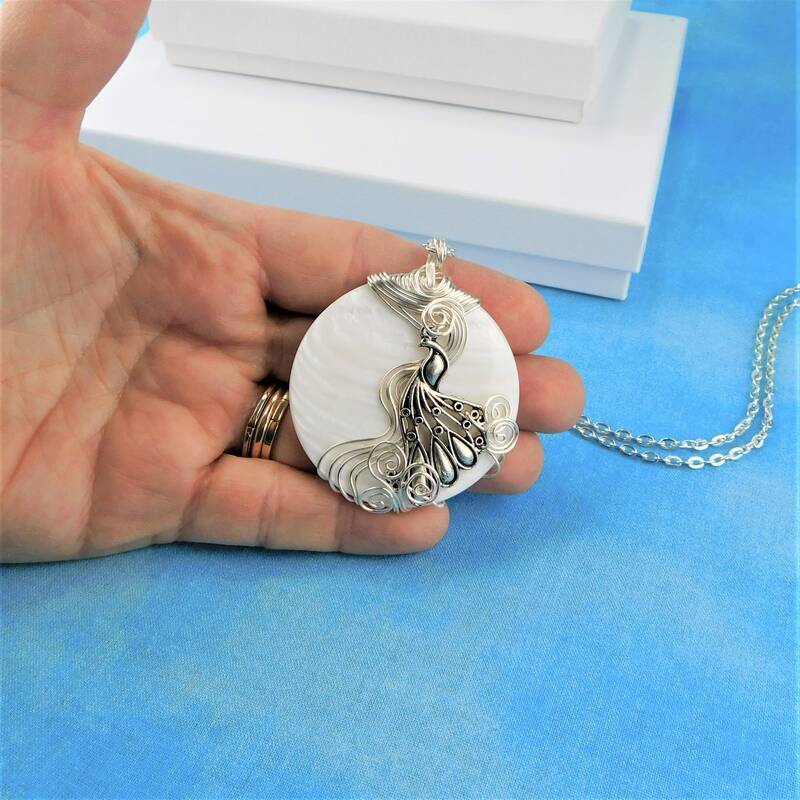 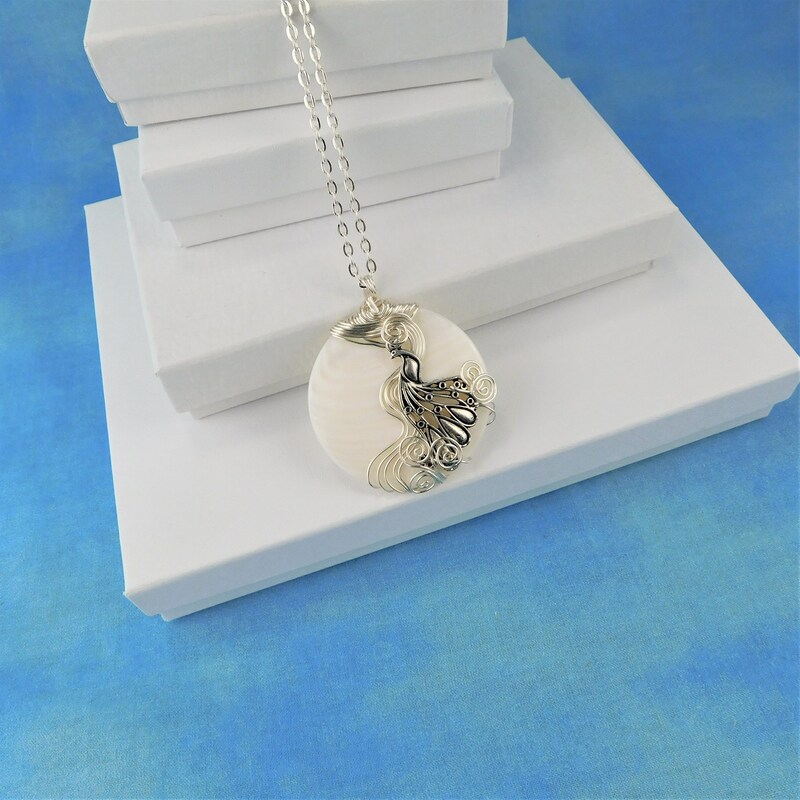 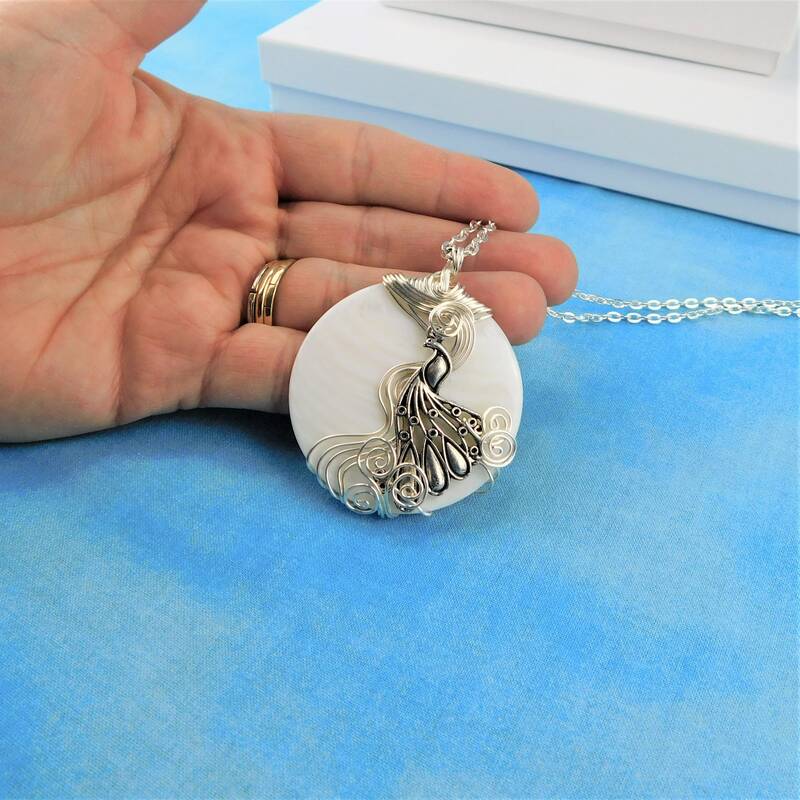 A 2 inch mother of pearl shell is artistically hand wire wrapped and sculpted with a silver metal peacock charm and three individual strands of non tarnish fine silver over copper wire. 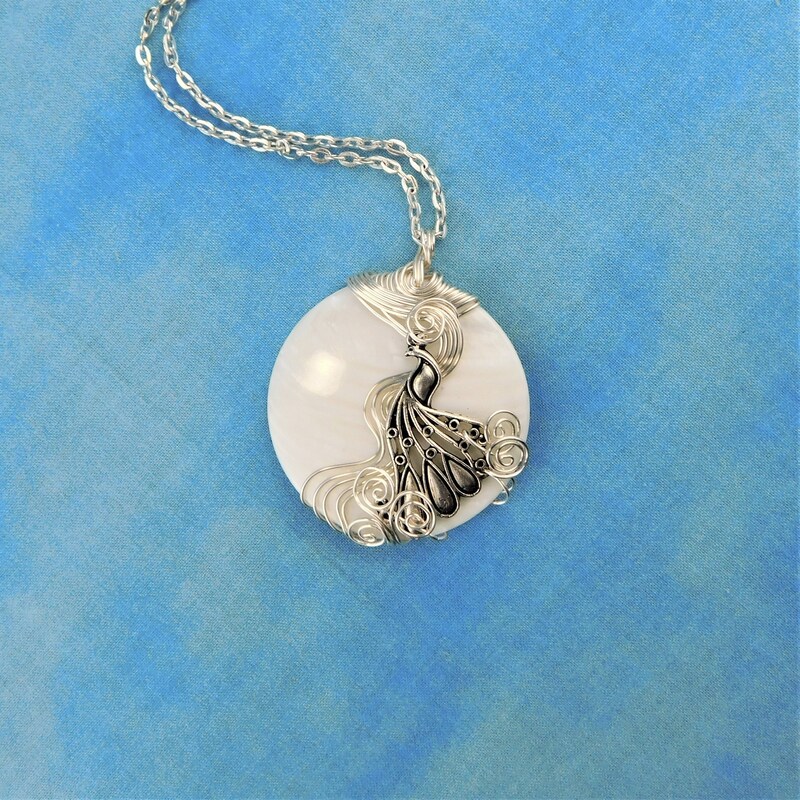 The sweeping curls of wire give the peacock an elegant, regal look. 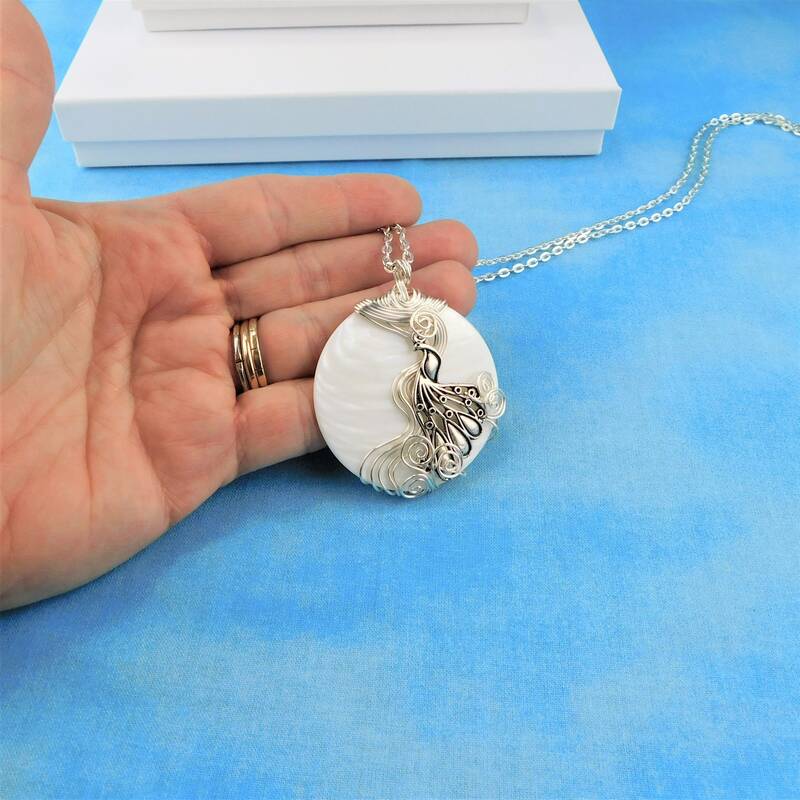 This interesting piece of wearable art will be a treasured part of a woman's jewelry wardrobe for years to come.